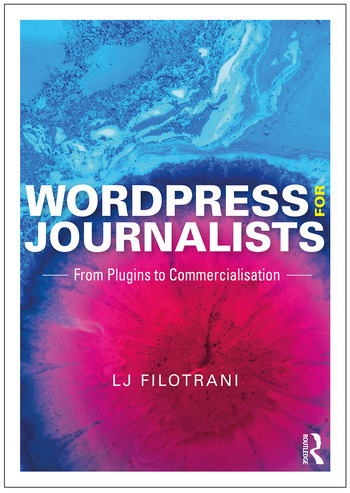 WordPress for Journalists presents an in-depth and accessible introduction to using the content management system WordPress to produce journalism today. LJ Filotrani, an experienced multimedia journalist and website editor and creator, gives readers guidance on using the wide-ranging functionality of WordPress to create news and other forms of journalistic content. Readers will find everything they need to set up both a .com and a .org site, from naming the site and buying a domain to choosing a hosting package and keeping hackers at bay. Chapters also cover house style, how to create posts and pages, hyperlinking, embedding content, setting up widgets and sidebars and working with themes, plugins and SEO. There are sections on troubleshooting, HTML/CSS, RSS and curation, alongside advice on audience engagement and commercialisation. By bringing together real-world advice, detailed walkthroughs and practical tips and tools for best practice, WordPress for Journalists will inspire young journalists and content producers who are looking to widen their skill set and build their presence online. LJ Filotrani is Senior Lecturer at London South Bank University, UK. She is Course Director for the BA (Hons) Journalism course, specialising on building sites in WordPress and producing video, audio and text for digital journalism platforms. She is a former site editor for the Guardian and was responsible for creating and launching the multimedia microsite Careers Guardian.